Imagine that — a rat who loves to travel found his way onto a blog called Writer with Wanderlust. This adventurous rodent brings children on a journey around the world and back, experiencing a variety of cultures along the way. Read on to find out more about The Adventures of Wilhelm and its author, Maria Ritter, on this blog tour coordinated by iRead Book Tours. Then enter to win a copy of this entertaining middle grade book. Description: Young Wilhelm leaves home and travels the world. He not only discovers the value of different cultures and the importance of family and friendship, but he also overcomes obstacles with courage and cleverness. He returns home with deep respect for all creatures on this earth and a new sense of rat identity and purpose. My Thoughts: Wilhelm wants to see the world, so he sets off on an adventure that takes him around the world. But this is much more than a book about travel. The scenes in various countries don’t just focus on famous sites, but go much deeper into the language, food, mannerisms and music that define a culture. These little details fill the pages with a sensory experience leaving behind a list of compelling reasons to learn about new cultures and journey to unfamiliar places. I was most surprised at learning so much about rats and the impact they have made on our world. I’ll admit that I hadn’t given much thought to these creatures other than the fact that I prefer not to see them, but the author illuminates areas — such as science and health — where rats have proven uniquely suited to things that humans can’t do. I have to admit that I’m now intrigued by rats. This clever story is a quick-paced novel that gives middle grade readers constant peaks and valleys within each chapter compelling them to turn the page. There is a good mix of the elements of classic storytelling such as tension, danger, excitement, success, friendship and home. But at its heart, The Adventures of Wilhelm: A Rat’s Tale is a story of about growing up, following dreams and finding your own way in life. 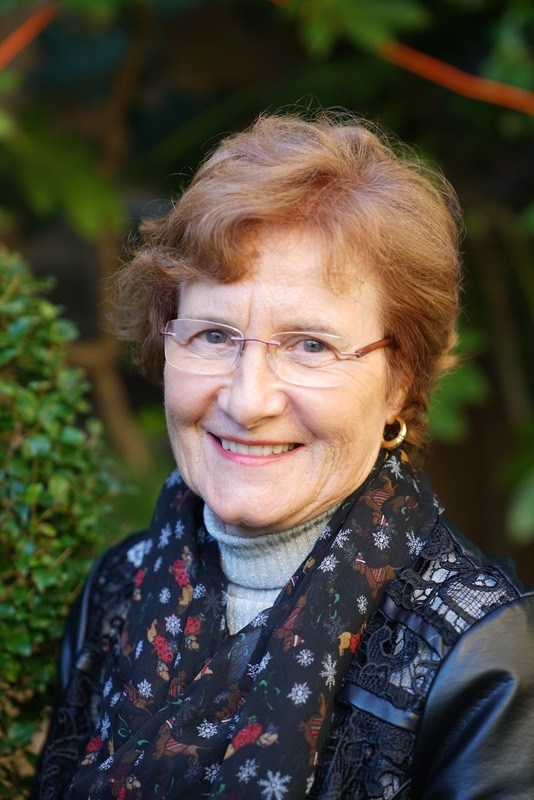 To follow the tour and read more reviews, please visit Maria Ritter’s page on iRead Book Tours. I was lucky to have the opportunity to learn some insights behind the book from the author herself. 1. What’s the main reason someone should read this book about a rat, named Wilhelm? I hope for this tale to be an enjoyable read in the rich tradition of telling tall tales and fairy tales where animals can speak, and humans understand their words and purpose among us. They invite us into the realm of unbelievable events with exaggerations, projection and fantasies we then image in our creative minds as real. Our main character, Wilhelm, invites the young readers and others young-at-heart to travel to different places on this earth, to discover the value of different cultures, to learn about the importance of family and friendships and to overcome obstacles with cleverness and courage. Yes, Wilhelm had ‘Wanderlust’ and enjoyed the experience. 2. Is there a message that the book brings to the reader? Every journey we take invites us to bring back some new experiences and lessons to be learned. Sometimes it takes time to reflect on them. I hope the readers will be encouraged to follow the rat to face good and evil, recognize and remember traps and other dangers, but ultimately develop human attributes: receiving and offering kindness. The other deeper meaning lies in the underground and hidden life of one of the most disliked creatures among us, hated and to be exterminated with poison and traps. Just go to The Home Depot and see the isles filled with pest control items – it is big business and feeds into our fears of being attacked, too. It is my hope that the readers also connect this tale to the many millions of people who live among us in the shadows, are hated and unwanted and live with few possessions and leftover food found in garbage cans. Kindness, understanding and compassion can lead the way to less fear and inspire a willingness to share our resources among all. 3. Which was the hardest character to write and the easiest? Of course, the main character, Wilhelm, presents as a typical adolescent, leaving home enthusiastically, but inexperienced. Although his parents give him solid advice, he must learn from his own experiences, the good one as well as from his mistakes. As a writer I became also protective of him on his journey, and I had to allow him to make mistakes and learn from them, understand the complexity of his feelings and his own prejudices. I did not want to idealize him just as a cute rat but let him go and wait what happens next. The easiest character to write about was Hohua Wikiwiki from the island of Kaua’i, Hawaii. He is a free-spirited character, a surfer dude who jumps off cliffs with a red cape on and dances the hula at the Oktoberfest. He goes along wherever the opportunities arise and does not seem to worry much. He is also a fine band musician, plays the ukulele, and can find work at many festivals around the globe. He is fun to follow around. 4. What are your next writing projects? I am currently narrating my book for an audio version with a wonderful audiobook producer, Carter Wogahn. It is such a great experience to read the story out loud and imagine a group of listeners nearby. To put voice and emotions to the different characters brings the book alive. Another manuscript, a follow-up memoir to my first book, Return to Dresden (2004) is waiting for completion. Return to Leipzig is focused on my childhood experiences during and after World War II (WWII) and putting together my mother’s thank you letters for the many care packages we received from America during the post war years in East Germany. It is a painful yet reconciling project. 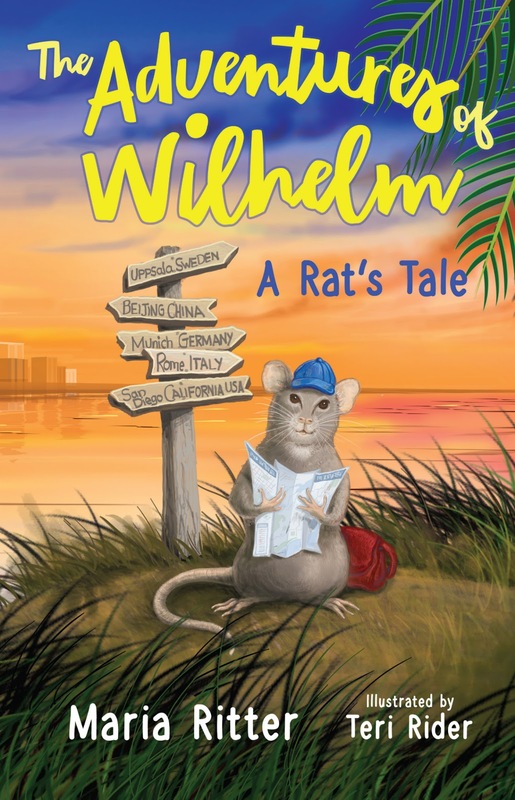 Finally, Wilhelm, the Rat has been encouraged and is itching to travel the world some more. Maybe he could start in San Francisco, travel to New York in a moving truck, visit relatives in Michigan during the summer and fly to Las Vegas to join the circus? Maybe he could even travel to Egypt to visit the famous pyramids? 5. Where and when do you write? I have a home office, filled with books, papers, photos and trinkets I brought back from my own travels. They serve as inspiration and confirm my memories. I do not have a daily routine for writing. The writing usually comes to me if I sit still and follow my thoughts and imagination. It happens quite often that I compose ideas into thoughts early in the morning in my half sleep state. I must then get up and write it down, so it does not drift away. My imagination has been always visual and often free associative. I have accepted my free style of writing into the computer only to correct and organize the text later in proper English and sequence. It is almost like hearing music and then putting it on paper. What I have learned over the years is that it is ok to sometimes make a mess, just like the Rat, but be patient and tenacious until you complete a manuscript into a book. Being a bi-lingual writer, I am grateful to my editors and publisher. 6. Do you have a dream for your book? Given my rich background in music and being a music consumer, I am dreaming of finding a composer to set the book to music in the style of Sergei Prokofiev’s, ‘Peter and the Wolf’. I can hear already the leitmotivs for the various characters, imagine famous tunes from different cultures, and follow Wilhelm’s adventures with the colorful sound of an orchestra. The music will tell the story! I will keep dreaming and hope music will come as a gift. I can’t wait to read it !